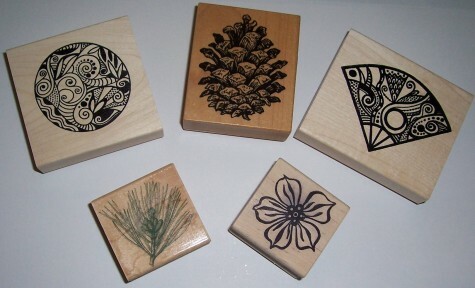 Rubber Stamps are quite often used to embellish scrapbook pages, cards or other paper crafts. We are not talking here about the types of stamps you find in an office or office supply store. The types of Craft Rubber Stamps and the Types of Images that are available these days for stamping are quality, artistic, and limitless. Some can be drawn images, some look like art or photographic reproductions, some are fonts that have been created to match the fonts available on your computer. Some are Outlines, some are full featured, some are designed to be used in their entirety or cut and used as partial images. Also available are Monogram Stamps that are so flexible and intricate in their design and capabilities that they don't even need to be specially ordered. The Font stamps can be used for journaling, titles and borders and come in a wide variety of sizes and both Upper and Lower Case. 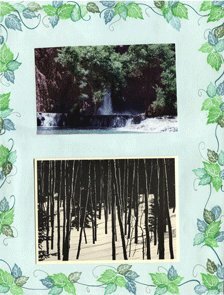 The Image stamps can be used to make a background image on paper, or for cards, tags, layout embellishments, anything you can think of. 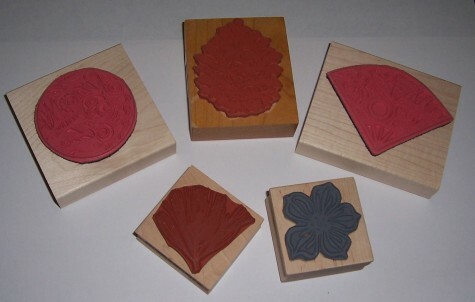 - Rubber stamps are traditionally mounted on wooden blocks with a foam cushion between the wood block and the molded rubber image. The Circle and Fan stamps are part of the Michael Strong Cloisonne Collection. - More recently, rubber stamps have become available in unmounted sheet rubber which needs to be trimmed first to the basic shape of the stamp image, and then mounted in one of several ways to clear acrylic blocks. There are about the size of 1/2 sheet of notebook paper or 5 & 1/2 by 8 inches. Normally all of the images on the sheet are in the same family of images. 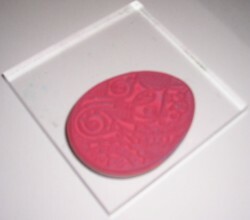 Below is an acrylic block with an Easy Mount Stamp attached. 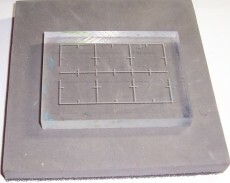 Below is another type of acrylic block with grid lines marked on it. If you were doing lettering and placing individual letters on this block, the white grid lines would be very useful in aligning the letters in a straight line. 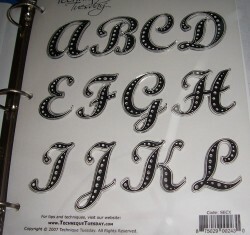 Scrapbook-Advice.com Tip: Don't forget if you are doing lettering, the word will be reversed. Right to when it appears on the block so that when you turn it over. the stamped image will read Left to Right. How to Cut Mount & Store Unmounted Stamps. - These stamps are some what a mixture between the wood mounted and the unmounted. While, they are not mounted on wood, they do have the foam cushion and a vinyl sheet on the outside of the cushion that adheres to an acrylic block, just like any vinyl cling. They remain sticky until they get a little dirty, in which case you just rinse them in clear water and they are ready to "cling" again. When cleaning the image portion of the stamp, leave it adhered to the acrylic block so as not to damage any of the vinyl. Here are some examples of Easy Mount Stamps - these 2 Cloisonne Stamps are from Micheal Strong. - Are available that adhere directly to the clear acrylic blocks with static cling properties. No mess or time consuming cutting and gluing process to get them ready to use. They are ready right from the package. Again these can be inked, used, removed and cleaned and will still maintain their adherence properties. Like other unmounted rubber, these can be stored on plastic sheet protectors in 3-ring binders and some of these even come with their own plastic storage sheet. And getting an accurate placement on the paper is even easier than with the Unmounted Rubber since you can actually see right through the stamp itself. I have heard a lot of pros and cons for different types of rubber stamps, and I really think it boils down to a personal preference. Some like the way the wood feels in their hands, some like the fact that they can store more images by using unmounted rubber, some like the fact that they can see through the acrylic. I use all three as I am interested in the image that the stamp produces. So, How do you use rubber stamps? When using any type of stamp or mount, inking with your color of choice should be done by tapping the ink pad onto the design of the stamp. This will make it easier to ink only the raised edges of the image and try to avoid getting the ink on the rest of the image. This will insure a nice image when stamping with out stray ink marks or shadows. When thoroughly inked, press the stamp onto the paper carefully and press straight down for a second or two without moving or rocking the stamp. It would be helpful to make sure the surface under the paper is flat, and have a small cushion, magazine, mouse pad, fun foam or stamping pad under the paper to provide a better quality image. Once stamped, the image may need to be dried with a heat gun or just left a while to dry on it's own. That depends on the type of ink you are using. Some inks will dry by themselves, some require heat. Stamped images can be left untouched, they can be enhanced with Rubber Stamp Embossing or they can be outlined and colored in with inks, water colors, pens or Copic Markers. The images can be cut out and used as die cuts or tags, or the same image can be stamped repeatedly on non-patterned paper to create a design or just a border. Here is one example of using rubber stamp to design your own and essentially Free Scrapbook Background Paper. 1.) Stamping grape leaves of two sizes in three colors of green inks. 2.) Then for the vines, I drew some curved and curled lines with a Zig writer pen in green. 4.) And, I purposely stamped some of the leaf images off the edge of the paper. 5.) Don't forget to put down a sheet of paper to take the ink from the stamp part that goes off the paper. 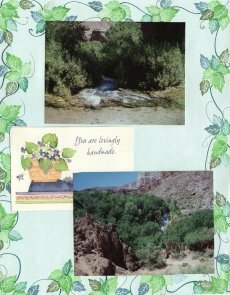 I got the idea for the border from the thank you card on the right hand page. The card came with the photos from a lady I met through my work and I wanted to keep the card and the photos together. Your are limited only by your Creativity. So What Tools are Needed for Rubber Stamping? Rubber stamping tools most commonly used are the stamps, inks, stamping cushion, heat gun, stamp cleaners or mild soap.